Derwenthaugh Industrial Estate in Newcastle upon Tyne is a 17 acre industrial park that contains industrial units, office space and secure compounds. GMR Construction was appointed by long term client Brisbane House to demolish and clear an office block occupying the site. GMR assembled a team and managed the demolition works. 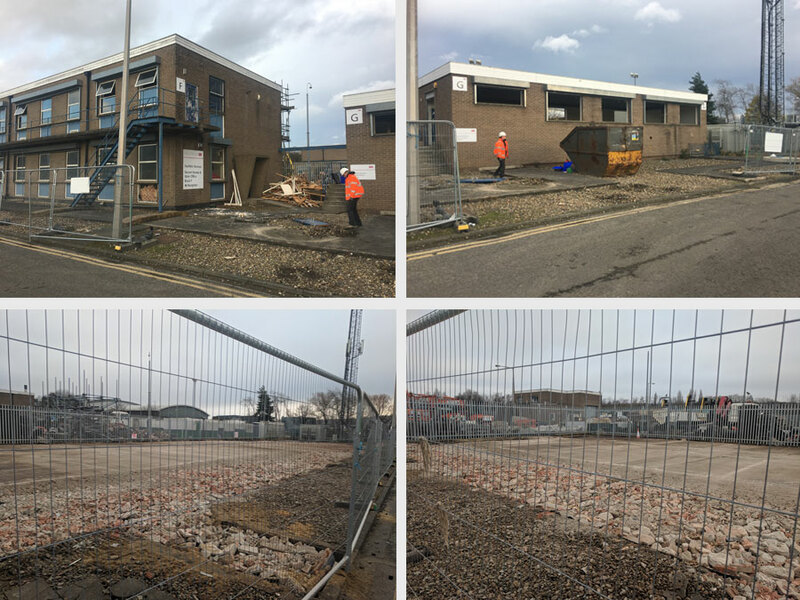 The project included making the site secure, demolishing, clearing and preparing the ground to the required specification for future use. Specialist, modern plant equipment was used. This included for example; excavators, dump trucks, crushers and dust suppression equipment. The clearance took just 4 weeks and now provides much needed yard space.